C&IT has teamed up with British Midland International (BMI) and The Kempinski Nile Hotel to offer one lucky reader and a guest the chance to win a three-night stay in Cairo, including flights. 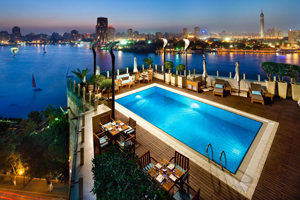 The Kempinski Nile Hotel is in the Garden City district in the heart of Cairo. The five-star property has 191 rooms with Nile views, a spa, pool and three meeting spaces. The largest space has capacity for 80 delegates. The prize includes a three-night stay at the hotel with breakfast, and return flights from London Heathrow to Cairo with BMI. BMI offers daily flights to Cairo, and offers a frequent flyer programme and refurbished onboard interiors. To enter, please send your answer to the following question to citcomp@haymarket.com by 22 March: Which river is the Kempinski Nile Hotel located next to? For more information visit www.flybmi.com and www.kempinski.com/cairo. 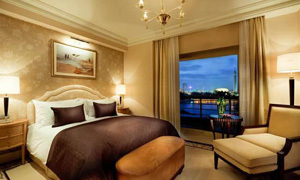 The prize comprises of a three-night stay on a B&B basis, and return flights from London Heathrow to Cairo with BMI.